NYCSHS 2015 Convention News. Private Car Added for Adirondack Scenic Train Tour!!! We have added the Private Car Silver Spring to the Adirondack Scenic Train Tour!! Only 20 passenger reservations available on this very special car. The Silver Spring was built by Pullman in 1925. 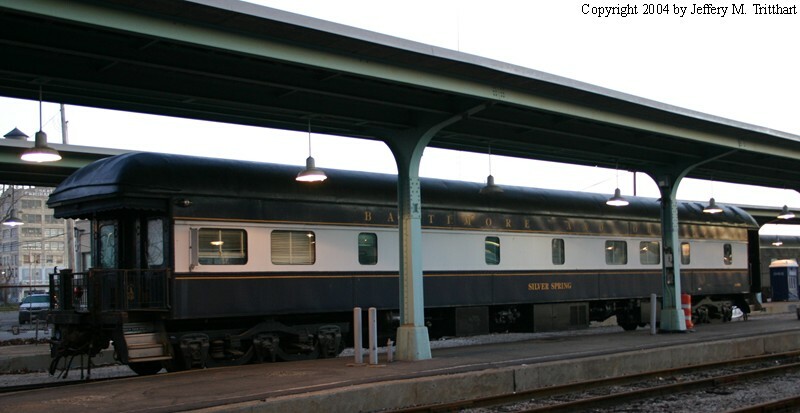 It ran on the B&O and has a luxurious interior with mahogany paneling and wall to wall carpeting. Only 20 Seats are available at $65.00 per person on a First Come, First Sold Basis. Those who have already paid their 2015 convention fee, will have to send a second check in the amount of $65.00 to ride the Silver Spring. The Silver Spring will be on the head end of the Adirondack Flyer going up to Thendara and on the rear end going back to Utica Station. This will allow passengers on the Silver Spring to enjoy the observation end of the car on the back of the train returning to Utica. The Nehasane carrying the Board of Directors and guests (paid for by the directors themselves) will be on the rear end going up to Thendara and on the head end going back to Utica Station. Those riding on the Silver Spring will may secure their non alcoholic drinks and from the Cafe Lounge Car. Only those individuals who have paid the extra fair will be allowed on the private cars. Security of private cars is very important because of liability issues! You may also reserve seats on the Silver Spring by going to the NYCSHS Collinwood Shop and if you haven’t signed up for the 2015 NYCSHS Convention, you can do that too. You must have registered for the Convention to be allowed to reserve a seat on the Silver Spring. Click Here To Reserve a Seat and or Make a Reservation for the Convention. Click here to view a You Tube video of the Silver Spring.